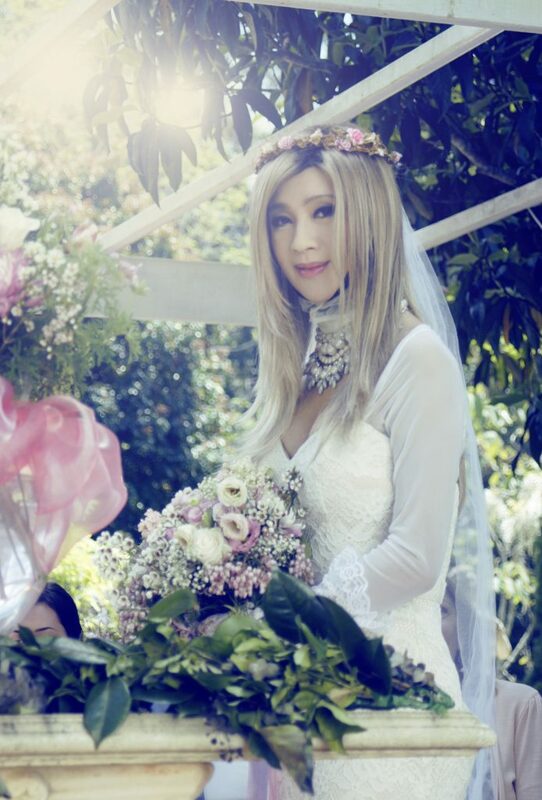 Jessie Chung puts on the bridal gown once again, this time in Australia! Surprisingly, her bridegroom is a charming Caucasian! 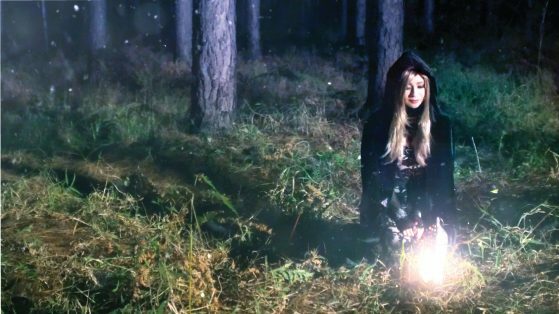 Don’t get me wrong, that was just one of the scenes in Jessie Chung’s latest fairytale-like MV “Someplace Honest”. 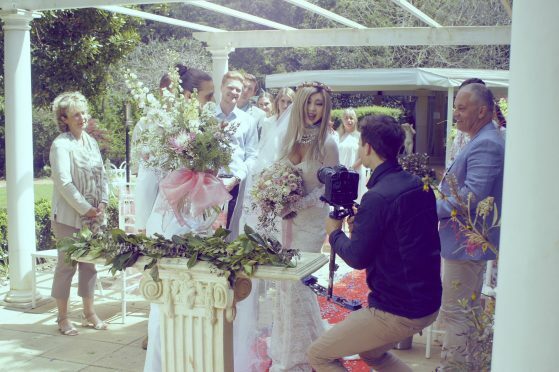 Director Elijah Cavanagh arranged for a dreamy wedding ceremony, delicately depicting a young girl’s eager heart waiting for the “big day”. An elegant bridal gown, traditional horse-drawn carriage, romantic garden, sweet-smelling corsages, and… a handsome Caucasian husband-to-be all placed Jessie under a dreamy spell! “Australian men are so charismatic!” Jessie Chung stated during interview, bubbling up with anecdotes during MV shoot. She said that she felt like she was getting married again, but with a twist this time. To put on a bridal gown but not knowing who the bridegroom is caused her heart to go pit-a-pat. Until the very moment she stepped on the red carpet, that was when she saw the actor from a distance. As she got closer and closer, Jessie said she felt like someone who is falling in love for the first time. Not knowing what to do, she was enraptured by Prince Charming. The actor gracefully took her tiny hand and smiled at her. “God, I was hypnotized by him! Thankfully I snapped out of my daydream when the director yelled ‘cut’,” said Jessie embarrassingly. In the face of a formidable “rival”, her husband Joshua Beh was not going to play second fiddle; he maintained his prominence by looking after Jessie at all times. Wanting to capture the sentiment of thinking about a lover in the rain in one scene, the director asked Jessie to sing in the rain. With only thin clothing on, the freezing winter rain quickly penetrated Jessie, paralyzing every bit of her body. After holding out for more than ten minutes, Joshua couldn’t stand it anymore. Before the director even yelled “cut”, he threw a blanket over Jessie and brought her on the car to get cozy. The director was taken aback by his actions. “No matter how romantic and dreamy this wedding is, I believe the person who loves me the most is my husband Joshua Beh,” said Jessie emotionally. Just like what the song expressed, he is the truest, dependable man. Although the incident almost caused someone’s life, Jessie is nevertheless satisfied with the director’s work. She expressed her joy towards the MV, and stated that this MV is her favorite and the most enjoyable one to watch out of all her MVs. Both male and female audiences expressed their appraisals towards the final product, mainly because everyone longed for a picturesque wedding just like the one portrayed in it. “Someplace Honest” describes a young girl’s desire, a longing for someone true to depend on. Following the current romantic wedding trend, Australia’s Future Entertainment & Music Group has decided to gift one lucky fan with an expensive Swiss-made Burberry diamond watch to wish everyone with a permanent and long-lasting love. The rules of the game are very simple, all the participant has to do is answer a short question to enter into the draw. Fans who are interested can go to Jessie’s Facebook page for more details.